Well, what do ya know.. I got the end of the school year post up before Christmas! Woo hoo! I figured I needed to get it up for the sake of order since we're having such summer fun to keep record of.. The summer reading program at the library starts today and they're kicking it off with a magician so, I'm hoping I can get this up quickly so we can be on our way! Every year, Emma's school finishes up the school year with a character parade. Every class does a different story book and they rope off the school parking lot and march around. 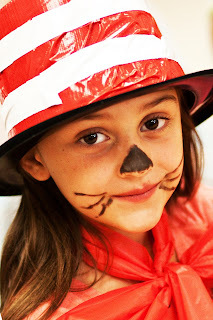 This year, Emma's class did "Cat and The Hat". Emma received an award for having straight A's, The Star Behavior Award and the Golden Turtle Award.. For her class award (her teacher gives an award to every child concentrating on that child's specific strengths), she received "Best Storyteller". The Golden Turtle award is given to everyone that improves five points or more on the "Measures of Academic Progress" test. The MAPS test is a test that they give three times a year. It measures the student against themselves and against the district average and enables the teacher to see exactly where each student is so that they can teach them at their ability level. 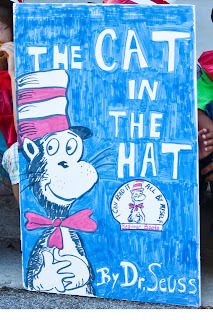 Almost every child in the first grade received this award. I think this speaks very highly of the teaching at Emma's school. We felt like this award was significant to Emma because Emma's score started out way above average and she had to be taught material geared toward a higher grade to be able to improve her score. Academics come very easily to Emma. This has been a bit of a concern of mine because I fear that she will hit a point where she doesn't already know what they are learning and she won't know how to work for it. Emma was upset because there were several awards that she didn't receive. Things like "greatest effort". 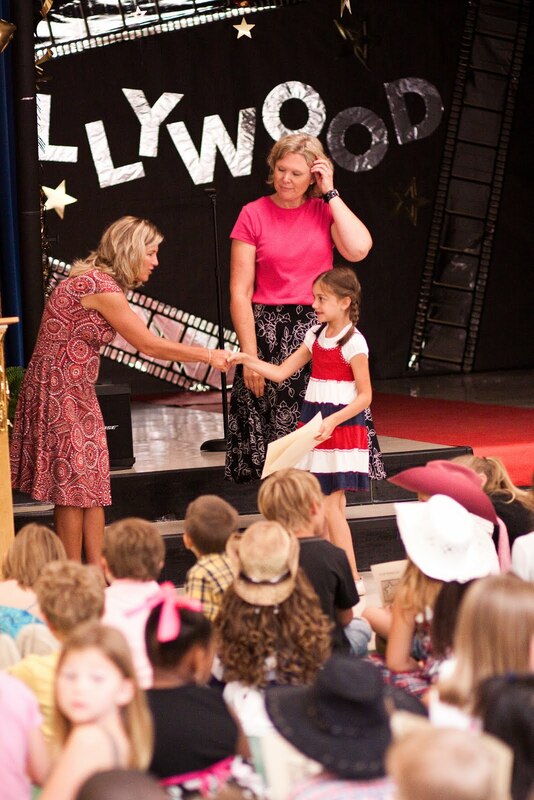 I had a little bit difficulty explaining to Emma, that she got the awards that she deserved and that a lot of kids had to work much harder to get the grades that they did. And, that those awards were for going above and beyond and that she could get those awards, but she was going to have to do more than what was required because she didn't have to put much effort into what was required. Her response to me was "but I didn't know there was an award, I would have gone over and beyond if I had of known there was an award for it". So much for intrinsic motivation! It isn't because I havent' tried to develop it in her. She was most upset because she didn't receive the "Art Award". We were surprised at how suddenly and dramatically her art improved the last two weeks of school . When we got to the school for the program, we found out why. At the very end of the year, they held a contest in which, each kid drew a picture of their teacher and one from each class was chosen to be hung in the hallway. I should have known she was motivated by a contest. Emma's picture was chosen. The teacher's name has been altered for the sake of anonymity. Because Emma's picture was chosen to be hung in the hallway, she thought she greatly deserved the "art award". I explained to Emma that they probably had chosen the art students before they had even done that contest and a person can't wait until the end of the school year to be good at art and expect an award for it. I guess I will remind her off all of the awards all throughout the year next year. All and all, Emma had a great year. The comments we have gotten up until now, from Emma's teachers, have been things like "Emma is a model student". 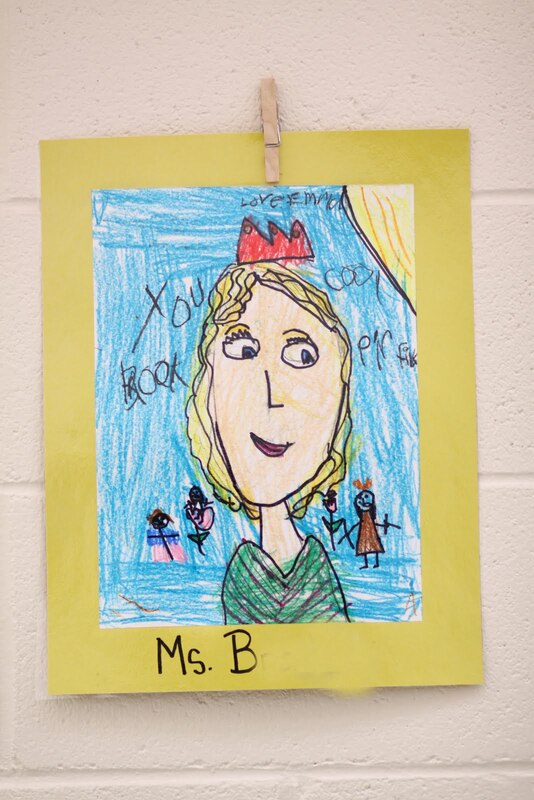 While that is always nice to hear about your child, it seemed as if Ms. B didn't think in terms of model students and really has a gift for seeking out strengths in each individual. Ms. B seemed to be just what Emma needed to so that she could learn to be part of a team. I had no doubt that Emma would learn in first grade, what she needed to succeed in second grade. But, I wasn't expecting the character lessons that she would see modeled by her teacher that will no doubt, serve her for life. The see Emma's thoughts about her teacher, check out her blog, Hope for the People.